SAKO 85 FINNLIGHT ST has a series of actions which are designated: Short actions Extra Short (XS), Short (S) and Short Magnum (SM), Medium action (M) and Long action (L). The ACTIONS continue to offer traditional SAKO features such as: action sizes matched to cartridges; mechanical ejection and integral tapered scope mount rail. Additionally there is a controlled feed on all models to ensure reliable cartridge feed to the chamber on all situations (Pat.pend.). The MAGAZINE is detachable and it can also be loaded through the ejection port. Magazine release is prevented against accidental release (Pat. pend.). The single-stage TRIGGER pull is adjustable from 1 kg to 2 kg (2 to 4 lbs). The SAFETY features a mechanism that allows loading and unloading of the rifle with safety engaged. In two steps injection molded black STOCK has grey softer grip areas in the pistol grip and fore-end sides and bottoms. Black outer surfaces are Soft Touch handled. 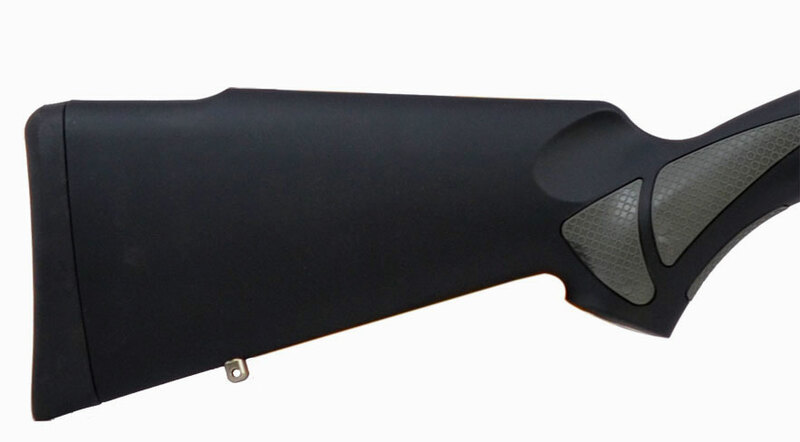 SAKO 85 FINNLIGHT ST is available without open sights. Integral rails for the scope mounts are on the top of the receiver. The short, fluted, totally free-floating BARREL is cold hammer-forged of stainless steel.